Susan Meier of Omaha was a finalist in our 2011 recipe contest with this tangy pie. Definitely needs a little green food coloring. I omitted the powdered sugar and it was perfect. 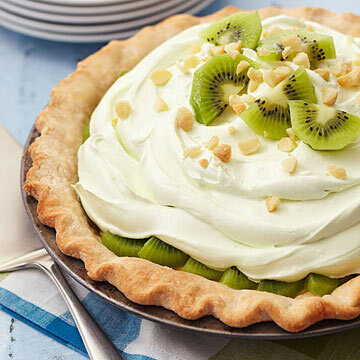 I also did not use the macadamia nuts- too expensive- I just covered the top with kiwi. It was a hit at our summer block party!